Representative Jason Chaffetz (R, UT) caught using private email server. In a great ironic twist, Rep. Jason Chaffetz (R-UT) has been promising to lead the investigation of Hillary Clinton even now that Donald Trump has become president, and is now under fire himself for use of an illegal private email server. This coalition brings up several good questions. First, will Chaffetz be able to lead an investigation of Hillary Clinton while he himself is suspected of doing the exact same thing she’s accused of doing? 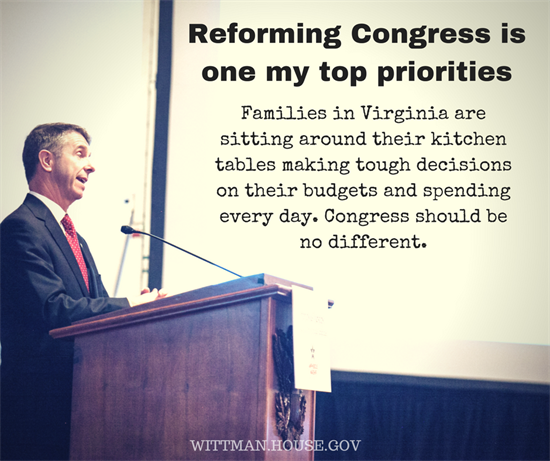 Wittman says he introduced bills that would force Congress to stay on schedule and pass a budget. He knew neither of these would pass. In fact, neither bill got out of committee. He knew this. He introduced these useless bills for show. Why does he waste his time and our time?